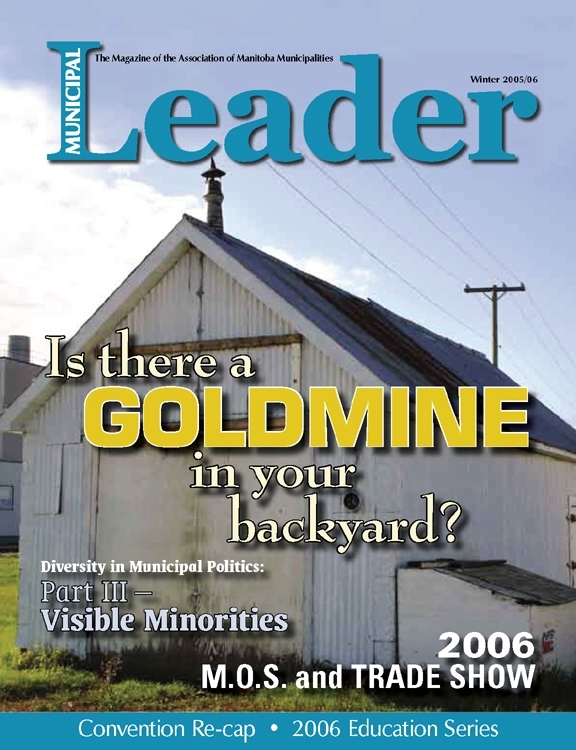 Is there a goldmine in your backyard? The Manitoba Historic Resources Branch thinks so. But that’s not all this issue. We cover everything from Manitoba’s fight against crystal meth, to how to become a “safe” community, to radio frequency remote read water meters. Our “Increasing Diversity in Municipal Politics” series continues with a look at visible monitories in politics, and three elected officials share their experiences.